So what are you up to this holiday weekend? Whatever it is I hope you have a fun and safe holiday and don’t forget to take a moment to honor those who’s lives were lost for our freedom. Thank you to all those who have served and still do! Have a happy and safe memorial day Ya’ll! 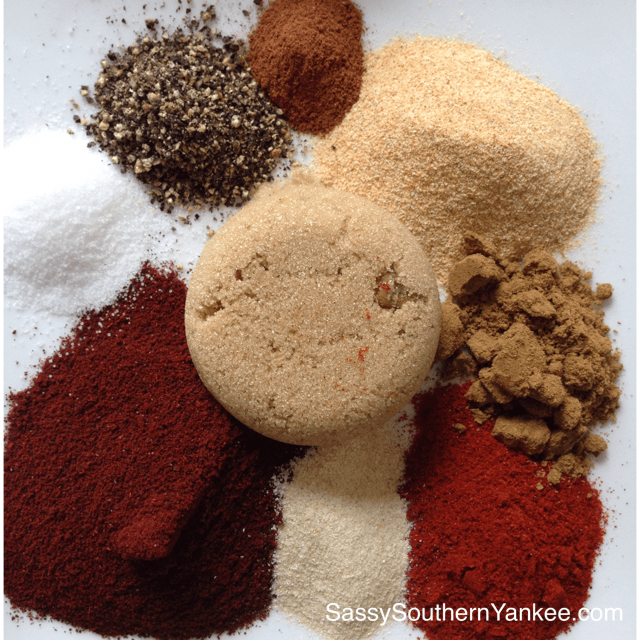 In a small bowl combine all of the spices and stir or mix with your hands until evenly distributed. 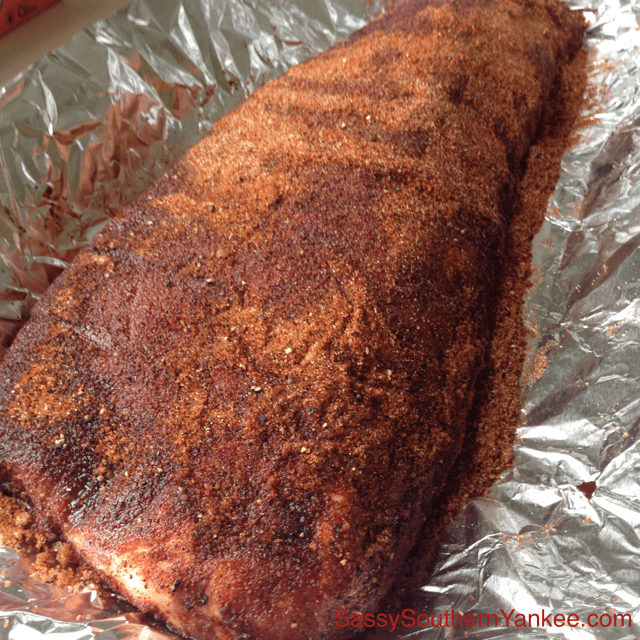 On a large serving platter evenly coat the ribs with the rib rub mixture and cover with plastic wrap. Allow the ribs to sit in the fridge covered for at least 1 hour or up to 24 hours to allow the flavors to infuse into the meat. When you are ready prepare your smoker with the charcoal, and whatever flavor chips you want to have for the smoking. I soak my chips for at least 1 hour or longer. I always place a few slices of smoked bacon on top of the ribs to give them extra flavor and it allows the bacon drippings to base the ribs as they cook allowing for a much more moist and juicy rib. Place the ribs in the smoker and allow to cook until they are fork tender or for about 3-4 hours (depending on the weight). Once cooked you can then coat them with your favorite BBQ sauce or eat them as is. 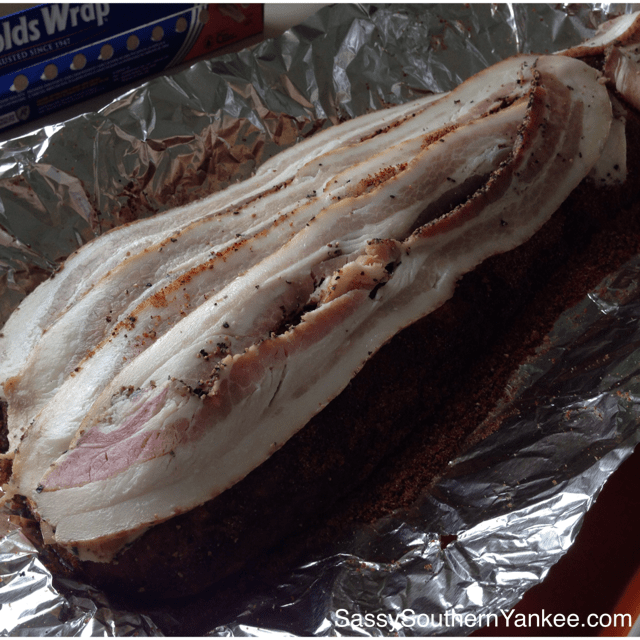 I always place a few slices of smoked bacon on top of the ribs to give them extra flavor and it allows the bacon drippings to base the ribs as they cook allowing for a much more moist and juicy rib. Place the ribs in the smoker and allow to cook until they are fork tender or for about 3-4 hours (depending on the weight). 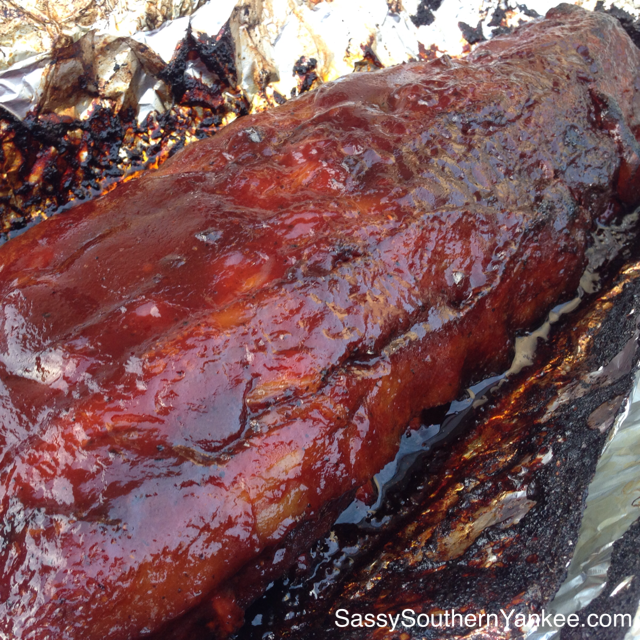 This entry was posted in Main Course and tagged 4th of July, Apple Wood Smoked Babyback Ribs, Back Yard BBQ, BBQ, BBQ Rib Rub Recipe, Brown Sugar, Chili Powder, Cumin, Garlic, holiday, Memorial Day, Pork Ribs, Rib Rub, Ribs, Smoked Paprika, Smoker Recipes.